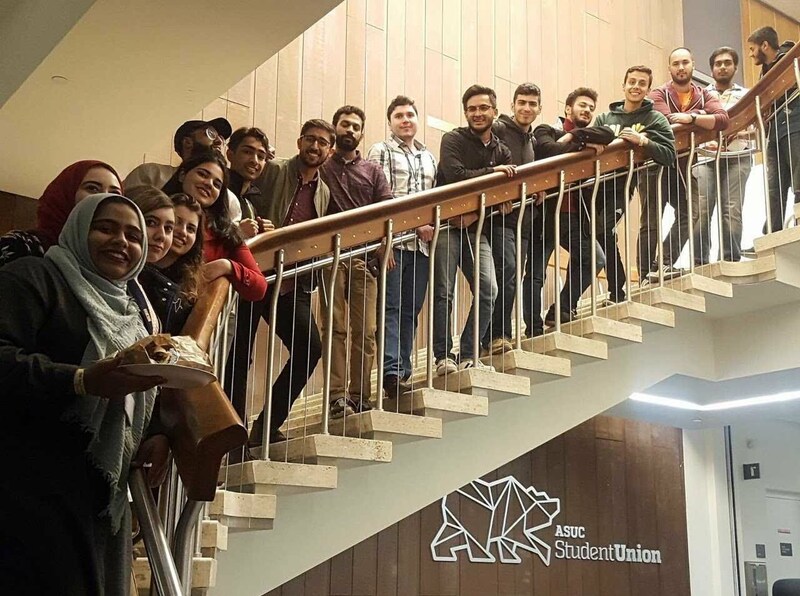 This year marked the inaugural year of the IOK Chaplaincy Program at Cal Poly Pomona. The CPP MSA has been through some ups and down in recent years and in bringing the IOK Program to the campus we hoped to strengthen the students’ spirituality with their demanding school workload. This was especially emotionally for me, being a Cal Poly Pomona Alumnus who spent a good amount of time with the MSA in the years I was here, and now coming back as their Chaplain. I found that the Muslim students are going through generally the same issues that I faced when I was here. Classes, family, friends, faith, spiritual balance, time management, and, of course, parking . The main highlight of my work here so far has been the successful initiation and establishment of a weekly study circle. We have discussed some of the guiding words of the Prophet Muhammad (peace be upon him), deriving lessons which the students could apply to their everyday lives, on and off campus. I was also able to work with the MSA Board in an effort to better serve the Muslim students on campus and work together to maximize my presence here on campus. My office hours did not only benefit the Muslims on campus, but I even had a non-Muslim book an appointment with me, which led to a beneficial meeting with his local congregation off campus about Islam and our beliefs. God willing, I look forward to expanding our assistance to the students and better increasing their relationship with Allah in this vital stage of their life. May Allah bless this endeavor and the great Muslim students here at this university which is so close to our IOK home.